247 Digital | Advertise with YouTube for higher customer reach! We are one of the few digital agencies in Melbourne to offer YouTube Ads. There is a number of ways of carrying out advertising online. One of them is we also Google YouTube advertising. Google video ads have grown so popular today and very many companies and businesses are taking advantage of YouTube advertising. YouTube video advertising is also one of the cheapest ways to advertise on Google and still very under-utilised by the businesses as is the setup is a lot more time consuming and requires a lot of skill. It is a good idea to hire a digital agency like us for your YouTube advertising needs. How do Google Video Ads Work? Google video ads fall under 2 main categories: TrueView Video Ads – you don’t pay for them unless the viewers truly interact with them and view them. The other category is Bumper ads – you pay based on impressions (i.e. the number of times the video was played). Bumper ads are great when you want to quickly grow your audience by showing them a short and memorable message. TrueView in-stream ads – your video ad plays before, during or after videos. It can be more than 30 seconds in length, can be skipped after 5 seconds and you pay only if they watch it entirely, or at least for 30 seconds or interact with it in some way – whichever comes first. You can target a specific audience and choose how much would you like to spend. TrueVideo discovery ads – your videos will appear in the places of discovery, as part of the search result or YouTube homepage. You pay only when your viewers choose to watch it by clicking on the thumbnail of your video. With Bumper Ads you pay per impression and your viewers don’t have the option of skipping the ad. Control over what you pay per view: in the case of TrueView in-stream ads where you pay if your ad was viewed for more than thirty seconds, you are given the choice to decide on how much you will pay. 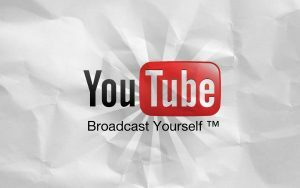 You will reach a large audience: YouTube is extremely popular which allows you to have access to their massive audience! People must watch: this is a great advantage and especially when using bumper ads. With TrueView in-stream ads, a person can only skip an ad after five seconds. This means whether a person likes it or not, they will see the advert or part of it.